Marti Emerald was an award-winning broadcast journalist for nearly 30 years. From 1978-2007, Marti distinguished herself as an investigative reporter and consumer advocate. She was honored with more than 100 awards for community service and excellence in journalism. In 2008, Marti campaigned and earned a seat on the San Diego City Council. She served as Chair of the Public Safety Committee during her entire eight years on the City Council, and retired in 2016, as the Council’s President Pro-Tem. 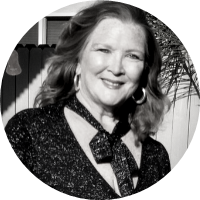 Since “retiring”, Marti has organized a Democratic Club, in her adopted city of Imperial Beach, and is very active in campaigning for candidates and causes. She also volunteers for the American Red Cross as a government liaison and is Vice President of the San Diego Fire Rescue Foundation. Marti Emerald believes we all have the capacity to create positive change in our lives and in our communities. One step at a time. Roll with the punches. And never surrender to doubt or opposition.